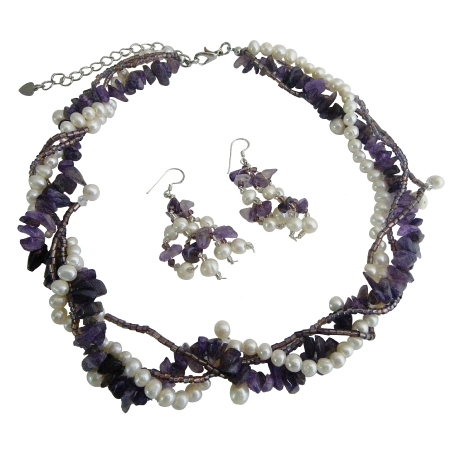 Multi String Necklace with Freshwater Pearl & Amethyst Stone Chip Necklace Set with Ring Brilliant purple Amethyst & White Freshwater Pearl is an eye-catching choice for jewelry. High-quality amethyst white Bountiful.lush.full-bodied theatrical adornment is teeming with Necklace Earrings in rich complimentary colors that work magic as they delight the senses! A party on your Neck & Ear lobes.